I can’t do anything normally, the obvious way, the “exactly according to the recipe” way. Sometimes it works for me and sometimes it doesn’t. Today it worked; really, really worked. Categories: April Fool's Day Food, Cakes, Other Desserts | Tags: April Fool's Day food, April Fool's Day fries, faux fries and ketchup, Ina Garten's Pound cake, Orange and chocolate pound cake, orange and thyme pound cake | Permalink. These sweet, tender and darkly chocolate macaroons were first served to me by a friend’s friend; someone who was not expecting us to stop by and whom had just literally driven up to find us hanging outside her house. Instead of visiting with us on her lawn, like I would have done back in the day, she invited us in and began to just whip up a batch of these addicting little cookies at the spur of the moment. Minutes later we were all sitting on her sofa, inhaling the heavenly aromas and laughing, and not ten minutes after that we were sipping on her husband’s famous Mandarin Orange martinis and munching on melt-in-your-mouth macaroons. 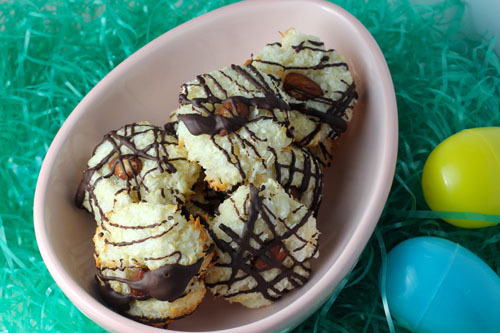 Categories: Cookies, Gluten Free | Tags: almond joy macaroons, coconut macaroons, gluten free macaroons, passover cookies, passover desserts | Permalink. I must start with this heavenly bread first. Because it is the bread of all breads, would be the crowning glory to any Easter Brunch table and is soft and tender and filled with a pillowy tart lemon curd and a tangy cream cheese spread. One bite is complete perfection and makes your eyes roll back and your heart skip a beat. Scouts honor. 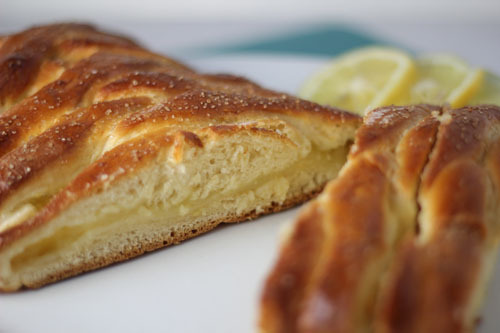 Categories: Bread, Fruit Desserts, Other Desserts | Tags: braided bread, braided lemon bread, Easter breakfast ideas, Easter Brunch recipes, filled bread, lemon curd, yeast breads | Permalink. Categories: Healthier Fare, Other Desserts | Tags: bread pudding, chocolate chip bread pudding, Irish Bread Pudding. Irish Whiskey Bread Pudding, light bread pudding. 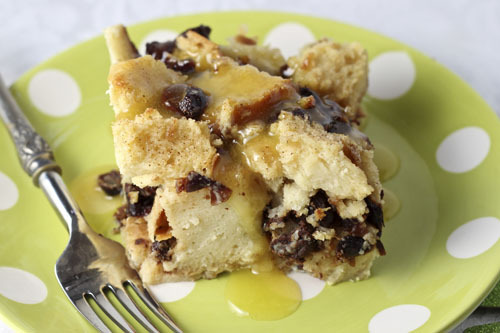 low-fat bread pudding., St. Patrick's Day dessert | Permalink. 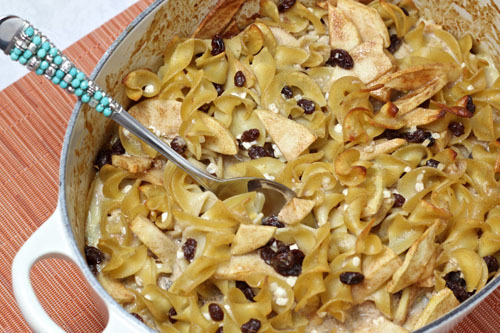 Every Jewish cook needs a tried and true old family favorite Noodle Kugel recipe in her (or his!) 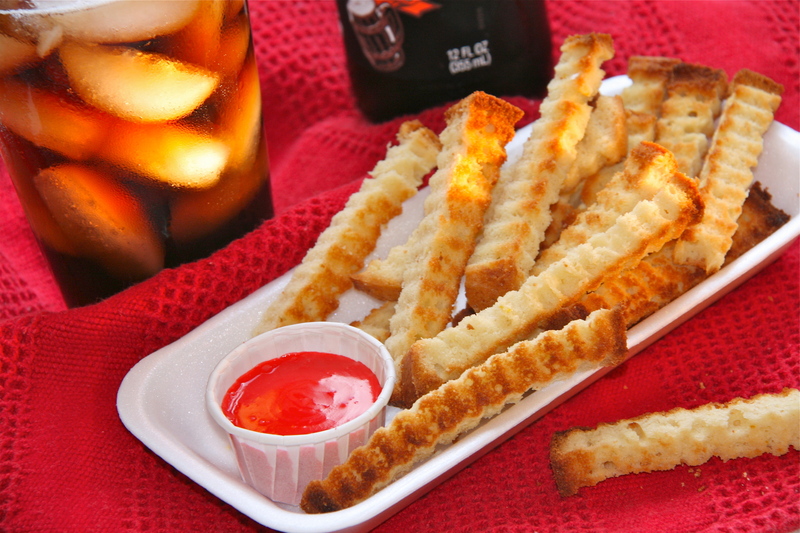 back pocket…one that is easy to make and even easier to eat. A Kugel that conjures up either festive Shabbat dinners, or in my case, Sunday dinners with my grandparents. Categories: Breakfast, Main Dishes, Pasta, Side Dishes, Vegetarian | Tags: dairy kugel, Jewish Kugel, low-fat kugel, noodle kugel | Permalink.